RALEIGH, N.C. – Two partners with Shanahan Law Group, PLLC, have been selected for recognition in the 25th Edition of The Best Lawyers in America©. Kieran Shanahan, the firm’s founder, was recognized in construction law and Tonya Powell was recognized in real estate law. Kieran J. Shanahan is a former federal prosecutor and an experienced litigator with extensive trial court experience in federal and state courts around the country. He is also a Certified Mediator with substantial Alternative Dispute Resolution experience. 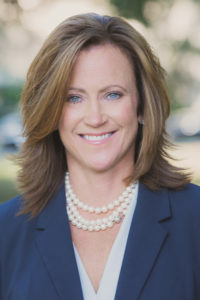 Shanahan has earned a reputation as a tenacious litigator who is willing and able to successfully tackle complex, high-stakes cases. 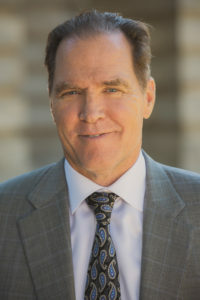 His practice includes banking matters, business disputes, employment and construction matters, as well as class action, administrative, and federal white-collar defense matters. He also handles corporate compliance, professional licensing, and internal investigations for professionals and corporations under regulatory scrutiny. Shanahan also has substantial non-litigation experience, including providing general business, corporate and banking advice to small and medium size companies. In 1989, he received the Directors Award from the U.S. Bureau of Alcohol, Tobacco and Firearms and was recognized as one of the most outstanding federal prosecutors in the country. Shanahan has been chosen as one of the “Top 100 Lawyers” in America by the National Trial Lawyers, is a peer-selected “Best Lawyers in America” honoree, has been recognized as a North Carolina Super Lawyer, was elected to Business North Carolina Magazine’s “Legal Elite,” and has been chosen “A Leader in the Law” in North Carolina. Tonya Powell concentrates her practice in the areas of commercial real estate, banking and finance and general corporate law. In addition to more than twenty years of commercial real estate and lender representation experience, Tonya has worked as general counsel for a real estate development company, where she gained valuable experience in the formation, restructure and operation of limited liability companies, including complex joint venture entities created for ownership and development of real estate projects, as well as working closely with lenders on complex debt restructures and workouts. She is a board-certified specialist in commercial real property law: business, commercial and industrial transactions. As a Past Chair of the North Carolina Bar Association’s Real Property Section, Tonya worked with real estate attorneys across the state to draft, monitor and comment upon state and federal proposed legislation and regulations affecting real property practice; monitor and comment upon State Bar ethics inquiries; sponsor and participate in pro bono projects; conduct an aggressive consumer protection/authorized practice program; and implement programs and plan continuing legal education programs for members of the Bar Association’s largest practice section. For more than three decades, recognition in Best Lawyers has been widely regarded by both clients and legal professionals as a significant honor. Best Lawyers’ lists are compiled by conducting exhaustive peer review surveys in which tens of thousands of leading lawyers confidentially evaluate their professional peers. If the votes for a lawyer are positive enough for recognition in Best Lawyers, that lawyer must maintain those votes in subsequent polls to remain in each edition. Lawyers are not permitted to pay any fee to participate in or be recognized by Best Lawyers. For more information, visit https://bestlawyers.com.